Friday, April 26, 2019 3:00-5:00 p.m.
Loren A. 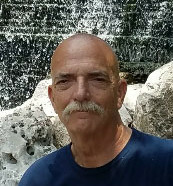 Dial, CAPT USAF, Ret., age 66, of Breese, passed away Thursday, February 21, 2019 while wintering in Davenport, FL. He was born January 14, 1953 in Kennett, MO, a son of the late Hubert and Irene, nee Elliott, Dial. In addition to his parents, he was preceded in death by a sister, Norma Slate; father-in-law and mother-in-law, Russell and Helen (Keaton) Thurston; and brothers-in-law, Al Putney and Frank Beagle. Surviving are his wife Karen (Thurston-Smith) Dial of Breese, whom he married July 19, 1991 in Belleville; children, Lorna (Turk Myers) Stowers of Highland, Tara (Greg) Wright of Newnan, GA, and Carla (Jason) Cleveland-Paraiso of Alexandria, VA; grandchildren, Reagan and Riley Stowers, Madison, McKenna, Mason, Manning, and Marissa Wright; siblings, Carlos (Joyce) Dial of Camdenton, MO, Fern Putney Sunrise Beach, MO, Jim (Jan) Dial of Gravois Mills, MO, and Dan (Arla) Dial of Osage Beach, MO; sister-in-law, LaVerne Beagle of Germantown, TN; and brother-in-law, Mel Thurston of Kokomo, IN. 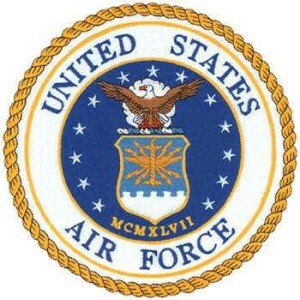 Loren retired in 1995 from the United Sates Air Force where he earned the rank of Captain and later retired in 2014 from civil service where he worked at the United States Transportation Command at Scott Air Force Base. 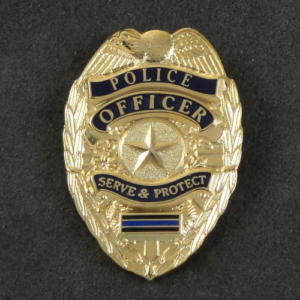 While working at Scott Air Force Base, Loren spent weekends at the Police Academy in Belleville and graduated in 2005. He worked for several local Police Departments since 2006, including New Baden Police Department, Breese Police Department, and the Clinton County Sheriff Department Lake Patrol. Loren Allan Dial proudly served his country and community for over 41 years. Mr. Dial was a true family man, and absolutely adored his wife, children, and his grandchildren to whom he was known as Papaw. He loved tinkering and was very handy. and would help anyone he could. He will be missed by all who knew him. Celebration of Life Service with full military honors accorded will be Friday, April 26, 2019 at 5:00 p.m. at Moss Funeral Home in Breese with Deacon Linus Klostermann officiating. Family will greet friends from 3:00-5:00 p.m. at Moss Funeral Home in Breese. In lieu of flowers, plants, and other gifts, memorials may be made to The BackStoppers or Save the Manatee and will be received at the funeral home.